Reglan is a brand named medication used for treating heart burn, but it also has a variety of potential side effects. Some of these side effects are common, like nausea, fatigue, and drowsiness, while more serious side effects can also be experienced. Reglan also has been known to cause a condition called Tardive dyskinesia (TD) which may be permanent. 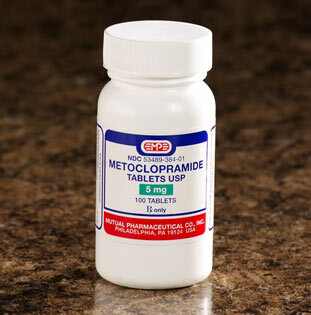 There is a greater risk of developing TD when Reglan (metoclopramide) is used in high doses and/or for longer than 3 months. Although these side effects are rare, it is important that patients discuss their concerns along with other medical conditions they have or medications that they are taking with their health care provider. 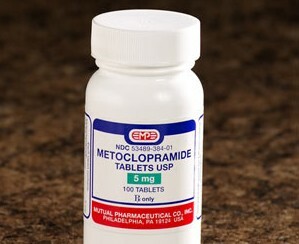 Reglan and metroclopramide are only recommended for use in pregnant women when the benefit outweighs the risk, as this medication rapidly crosses the placenta near term. This drug has been assigned to a pregnancy category B by the Food and Drug Administration, and although animal studies have shown no evidence of fetal harm, there are no controlled data in human pregnancy. It is recommended that nursing mothers use caution with when taking this drug, as it is excreted into human milk. The American Academy of Pediatrics also considers it to be a cause of concern, especially because of the potent effects on the nervous system it can cause. Alcohol may worsen some of the pharmacological effects of CNS-active agents, and using Reglan in combination with alcohol can create additional depression of the nervous system as well as impairment of psychomotor skills, thinking, and judgment. Patients receiving Reglan may be warned about these interactions and will be told to limit or avoid consumption of alcohol. Hazardous activities that require motor coordination or mental alertness should be avoided until patients understand how the medication will affect them. In most cases, Reglan is successful in treating conditions of the stomach and intestines, and it can help to relieve symptoms of heart burn. However, in some rare cases serious side effects can occur, and these are more common if a person has a certain medical condition or is taking a certain medication that interacts improperly with Reglan. Patients should be sure to seek medical advice before taking this medication and will want to report any side effects they experience to their doctor or pharmacist.